One of the best moments in Breaking Bad is when Walter chases a fly for a whole episode. No really, that happens. Another great one is where you all can pick up a thing or two. How to get rid of a body (Joking). 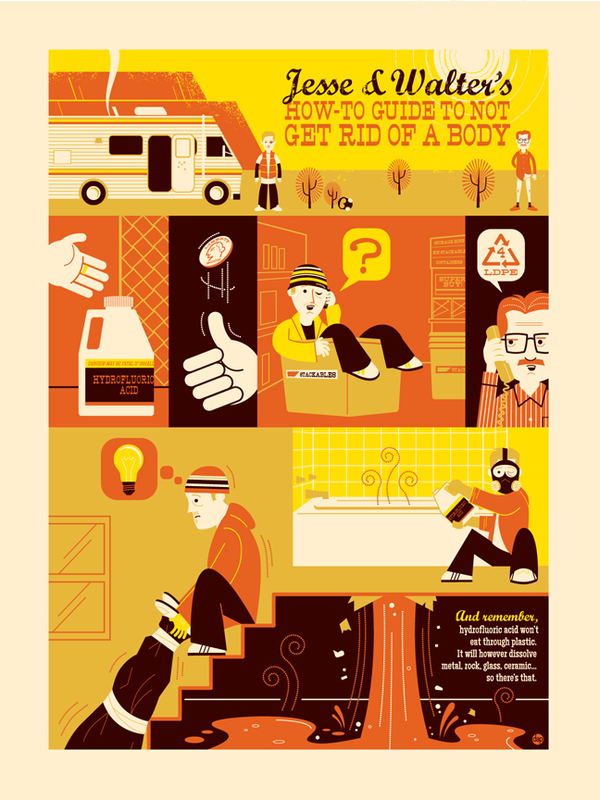 Walter tells Jesse to use Hydrofluoric Acid and a plastic container to make the body go "Bye,Bye". Jesse goes to the store and he thinks that cause a alive body can't fit, no reason to buy it. He gets home and a idea hit's him. He drags the body up the stairs to the bathroom and puts it in the tub. Pours the acid and everything is going well, right? Wrong the body,floor and everything else drops thru to the bottom level of the house. Kids, use plastic. JAY Z x Justin Timberlake "Holy Grail"
Air Jordan 5 Retro "Fire Red"
Maybe I Should Get A Dog? Nike Air Griffey Max 1 "Safari"
What Your Coffee Says About You? Air Jordan 5 Retro "Fear"
Salma Hayek, Halle Berry Who?